This month's math journal reviews tens and ones in a 2 digit number. These journals can be a centre with the materials and a sample laid out. 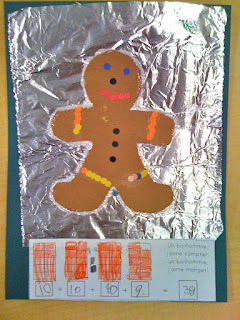 Here the hole-punched bits that are used to decorate the gingerbread man are represented in a 10 frame and a math sentence. Student math journals are bound together in a book at the end of the year. 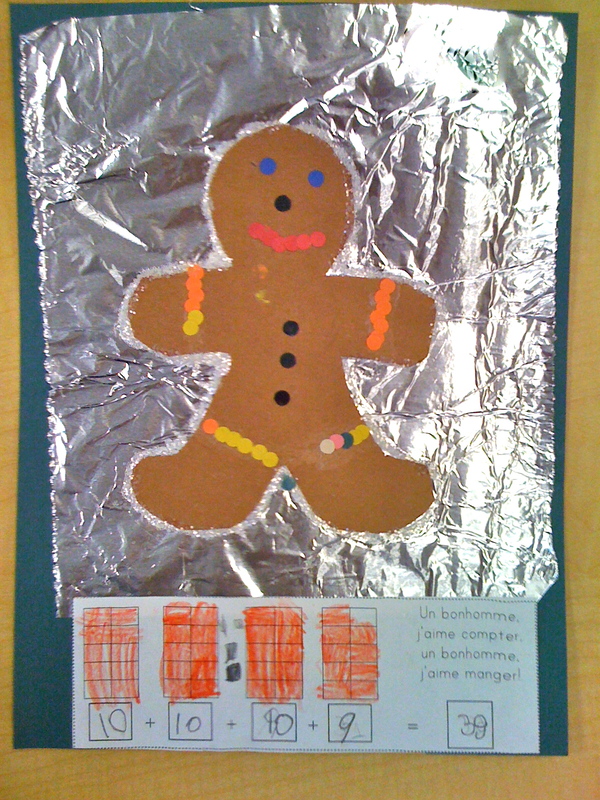 A student-made document they can read.